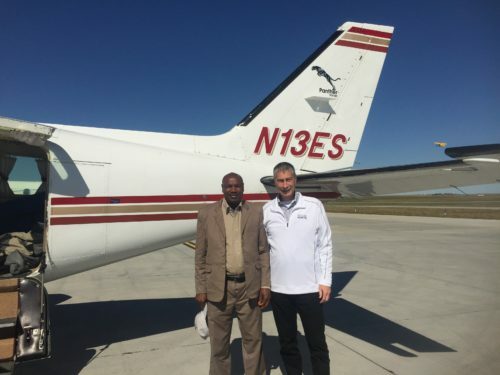 Kissinger and Bob – Great Adventure | "Northern Crossings"
One of the original Project 24 guys Bob Wurl and Kissinger the Project 24 manager in Sioux Falls to attend a Pastor’s Conference. Kissinger is getting around and telling the Project 24 story. We appreciate all of the folks that are hosting Kissinger and we appreciate all the folks that have been with Project 24 through the good times and the bad. The use of an airplane was afforded to Kissinger and I will tell you who donated that conveyance when I get permission. PreviousThe World’s Greatest Deliberative Body or -That Wacky Senate? Witness and Mercy and Governments. The Pastor’s conference in SD was in Rapid City. Agenda at MNS Monday 8:30 registration to 5; Tuesday 8:30 – noon; then John Kissinger will travel back to New Germany with me and flies back to Kenya on Wednesday.